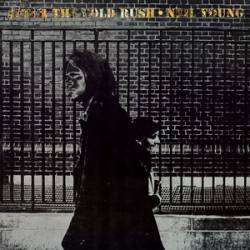 Neil Young - After The Gold Rush 12"
RS-6383 B IA 31010-Re 2 I C6 S.
3rd album. Gatefold with b/w /Neil sprawled on a couch. Paper company sleeve. Includes poster-size lyric sheet in Neil Young's handwriting. "RS 6383" on labels and inner sleeve. "6383" on back cover and spine. Track B6 written as "Crippled Creek Ferry". but as "Cripple Creek Ferry" on the label. ** Label have 31,009 on S-1 & 31,010 on S-2. ** "RE2" and the Artisan drumsticks logo etched in the runout groove of both sides. This release is well known for its numerous variations. 2) Original tan Reprise label without "WEA" logo along the edge of the label. 3) Labels have 31,009 on S-1 and 31,010 on S-2. Musical prodigy Nils Lofgren was just 18. Ranked #71 on RS list of 500 Greatest Albums of all Time.